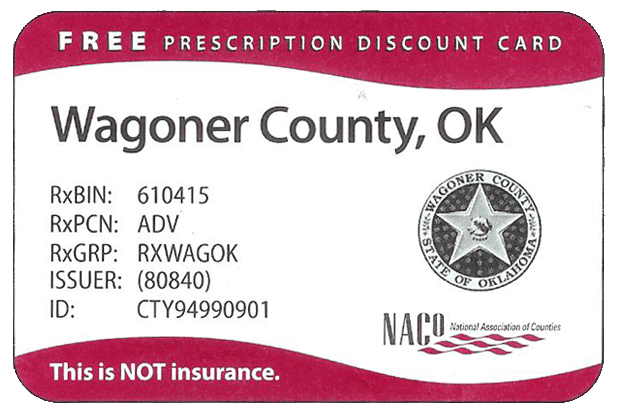 Simply present your card, provide to you in a joint effort of your local county government and the National Association of Counties (NACo), at a participating retail pharmacy and save an average of 24% on your prescription medicine. Finding a pharmacy is easy; 9 out of 10 pharmacies nationwide accept your discount card. No enrollment form, no membership fee, one card, immediate use. Visit www.caremark.com/naco to look up a participating pharmacy, a price estimate for your prescription, drug interactions, or read news articles from leading health journals. Click here for more information. 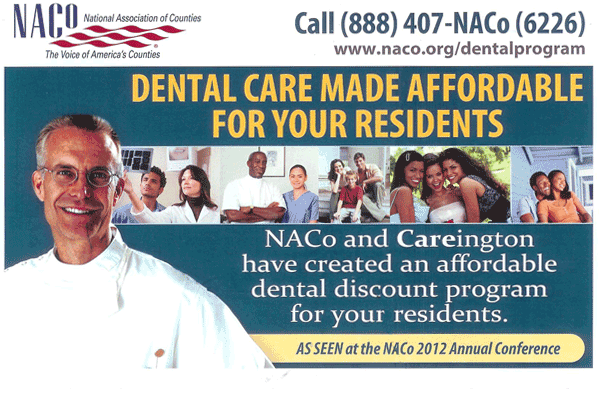 The NACo Dental Discount Program is a great way to offer savings to your county residents! This discount program is NOT INSURANCE, but a great way to help your county residents save on dental care and orthodontics, and promote dental health for themselves and their families. All member counties of NACo are accepted. To learn how to offer this great dental program to your county residents, visit www.NACO.org/dentalprogram or call at (888) 407-NACo (6226) and ask for "membership"